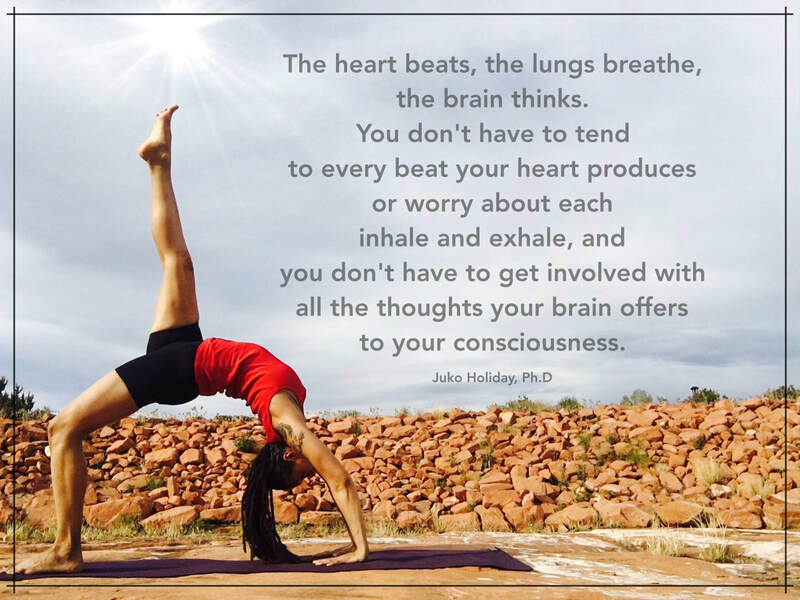 The heart's job is to beat, the lungs to breathe, and the brain to think. All are necessary for you to function, and they do so with no effort on your part. As the brain does it's job, you can sift through the thoughts it offers, being careful to notice when those thoughts form chains, and when those chains of thoughts start to create stories about yourself and the world around you. You can choose to be curious about the validity of those narratives, being especially cautious if they are bitter, hostile, mean, or toxically critical. Be especially skeptical if you are weaving narratives of hate, blame, and disdain toward yourself. Stories, by their nature, change as they are told and re-told. As you move through your wholeness journey, part of the work is to observe the stories you've constructed about yourself and others as they shift. ​As you recognize your wholeness, those stories begin to move from critical to compassionate while maintaining healthy boundaries and balance. They become more authentic and emerge from a state of emotional stability and presence. Perhaps they are informed by fear, sure - but they are not controlled by it. 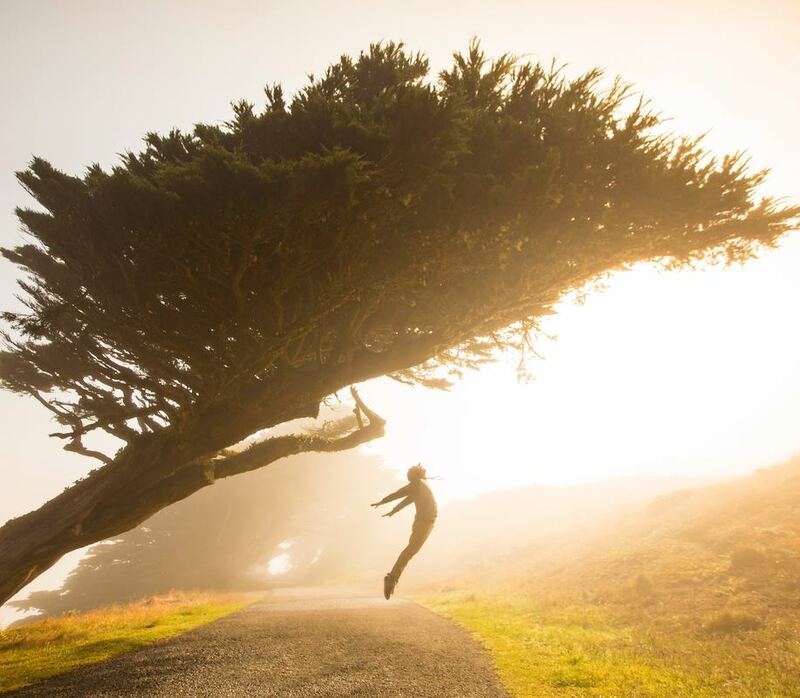 Cultivating abiding authentic presence with ourselves, connecting to consciousness & taking a break from mind, and making space for curiosity and compassion to replace the constant critical voice is essential to finding emotional freedom. Those brain-beats we call thoughts - especially when strung together to conclude that you are something other than capable and lovable - can be noticed and then allowed to move along. Again and again and again - until you are able to just notice them without being consumed or creating a story.. Imagine a weaver, carefully selecting threads to go into fabric for a fine garment - be just as patient and vigilant as you sift through your thoughts to create your beliefs. We live in a demanding and complex world that conspires to keep us moving too fast and doing too much. The impact of the pace and demands we face is evident in the numbers of people who live with chronic stress, emotional overwhelm, and persistent low moods. Heart disease, diabetes, high blood pressure, stroke, and obesity greatly decrease our quality of life and are slowly killing us. Stress makes each of these conditions worse, and in addition to these physical illnesses, our lifestyles put large numbers of us at risk for developing mental illness, too. ​Depression is the number one source of disability world-wide. Many more people live with sub-clinical despair or anxiety, and there are not many organized options for preventative and whole-person complementary care. This is where the emerging field of yoga therapy comes in - both as a source of support for addressing concerns before they blossom into diagnosable conditions, and for rounding out care that is focused on only one aspect of a person's health concern. Finding a qualified yoga therapist can make the difference between surviving and thriving, and one of the first places to check about the credentials of a yoga therapist is the International Association of Yoga Therapists - they maintain a searchable database of yoga therapists who have gone through the stringent certification requirements to become a C-IAYT. It's equally important to look for what other qualifications and training the certified yoga therapist has, including advanced degrees in a health-related field and clinical training in a discipline related to their specialty. Content for sessions are tailored to each client's needs. A yoga therapist may include physical postures, breath practices, lifestyle changes, encouragement of social connection via involvement with a yoga community, guided self-inquiry, meditation, and a clarification of a client's values and life intentions as part of an overall personalized yoga practice plan they develop for you. Each yoga therapist works differently, so it's important to ask questions and be clear about expectations and limitations of the work they do. Yoga therapy provides a pathway to hope for people who sense that they need to engage the whole-person to achieve balance and optimal health, and certified yoga therapists are working hard to bring awareness to our field and to the resources we provide. Dr. Juko Holiday owns & directs Ease Mountain Yoga & Nourishing Arts, a yoga studio & wellness center in the Santa Cruz Mountains of California. She is a certified yoga therapist (C-IAYT), has a doctorate in Transpersonal Psychology, an MA in Clinical Psychology, and experience as a behavior health specialist for a health insurance company. She has lived with depression for over 40 years, and uses her personal, academic, and professional experience to support others who are ready to take a stand against stress, low moods, and emotional overwhelm.